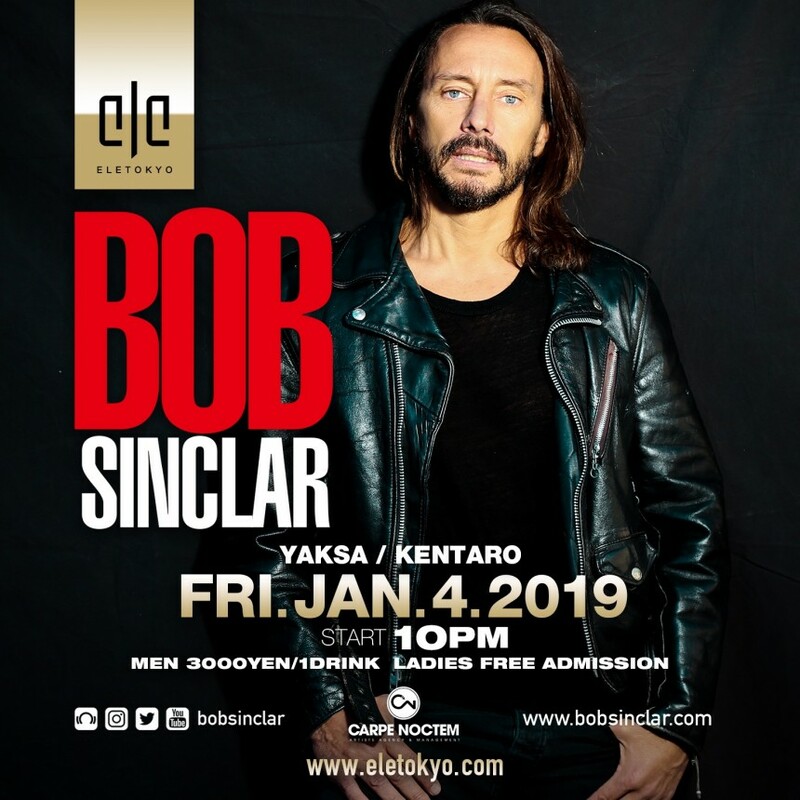 Known for the pioneer spreading the sounds of French house to international ears from the late ’90s and into the 2000s, French electronic music producer Bob Sinclar is about to throw an epic party at ELE TOKYO! With his many classic dance hits including “Love Generation” both topped charts across the globe and selected as official anthem of 2006 FIFA World Cup, proving – if there was any doubt – his talent for making great music with no boundaries of age or race. Bob’s ambitious and passionate spirit about music by continuously exploring the possibilities between different genres lead us to think his multiple Grammy nominations are no surprises, yet there is so much for he are capable of. The man, the living legend himself behind the decks at ELE TOKYO will for sure make you want to dance like there is no tomorrow!